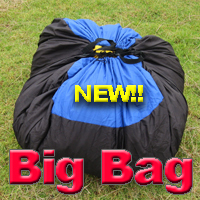 Now you can throw your wing into the truck in a matter of seconds with the Big Bag stuff sack drawstring bag! 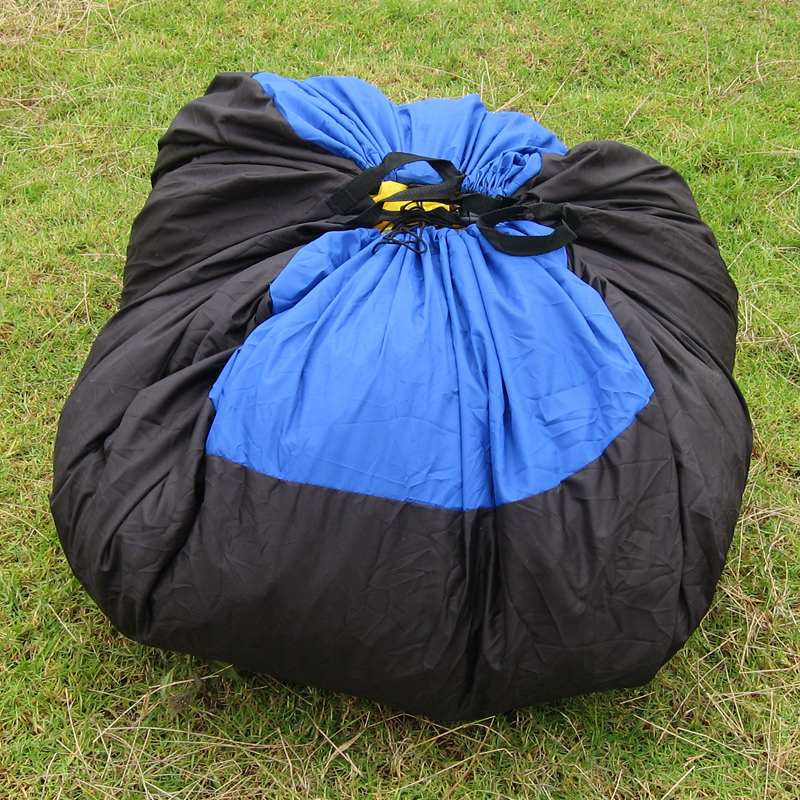 Simply gather your paraglider wing into a ball using the lines, and set it into the center of the Big Bag laid out on the ground. Lift the drawstring around the glider and pull the string tight. Once tied, you can lift the bag onto your shoulders and use the built-in adjustable shoulder straps to carry your paraglider. When not in use, the Big Bag will fold neatly into a smaller pouch secured with velcro for easy packing. You may never want to fold your wing again!